Everywhen brings the action and adventure of the Barbarians of Lemuria roleplaying system to all times and places! Barbarians of Lemuria is Sword and Sorcery roleplaying game written by Simon Washbourne and published by Filigree Forge. For details on licensing content based on Barbarians of Lemuria contact Simon Washbourne at Beyond Belief Games. This license is for adventures, supplements and sourcebooks for Everywhen. If you would like to use the Everywhen system for your own setting or convert Everywhen to another language, then please contact moc.liamg|gnihsilbupegrofeergilif#egroF eergiliF directly. 1) Filigree Forge grants to the licensee the non-exclusive, non-assignable license to reference the Everywhen core rulebook in their adventure, supplement, or sourcebook. 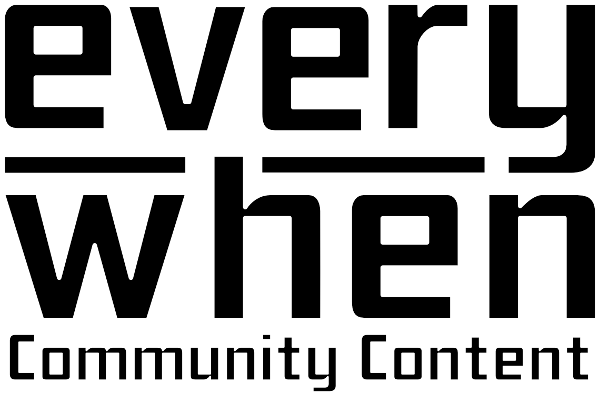 2) The licensee agrees to use, unaltered in size or dimension, the “Everywhen Community Content” logo on the front of the game packaging, “Splash Page”, or other “front” display. An image of the logo can be downloaded here. 4) Licensee indemnifies Licensor, other licensees of the Property, their officers, employees, agents, licensees, and assigns, and holds them harmless against all loss, damage, injury, and expense, including reasonable solicitor fees, from any breach of this Agreement. 5) The licensee agrees not to reproduce material from the Everywhen rulebook or any other copyrighted work without the express written consent of Filigree Forge or the copyright holder. 6) Filigree Forge reserves all intellectual property rights to Everywhen, including, but not limited to, all copyrights, trademarks, hobby game, publishing, entertainment, licensing and merchandising rights. 7) Filigree Forge reserves all rights to its Intellectual Properties, including those used as examples or illustrations in the Everywhen rulebook, promotional material, or published works. 8) This licensee agrees not to charge for the product in any way, shape, or form. 9) Filigree Forge reserves the right to revoke or alter any aspect of this license as it deems necessary. If you want to sell your work, you must moc.liamg|gnihsilbupegrofeergilif#su tcatnoc with your plan and some samples of your work. We’ll work with each company on a case-by-case basis. Once we grant your company the license, you can make whatever you want without submitting it for further approval, as long as you follow the guidelines below. Be aware that we’re looking for HIGH production values–meaning great art, trade dress, and professional layout–as much as we are great content. 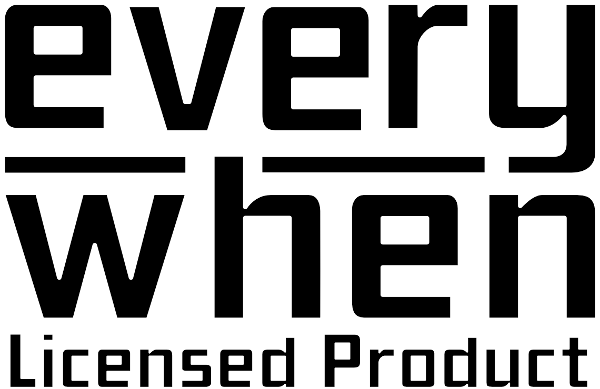 Once your product is underway, we highly encourage you to visit our Everywhen discussion groups on Facebook and Google+, and let our fans know about it. 1) Filigree Forge grants to the licensee the non-exclusive, non-assignable license to reference the Everywhen core rulebook in their adventure, supplement, sourcebook, or other product. 2) The licensee agrees to use the “Everywhen Licensed Product” logo on the front of the game packaging, “Splash Page”, or other “front” display, in a conspicuous and legible format. An image of the logo can be downloaded here. 4) Licensee indemnifies Licensor, other licensees of the Property, their officers, employees, agents, licensees, and assigns, and holds them harmless against all loss, damage, injury, and expense, including reasonable solicitor’s fees, from any breach of this Agreement. 8) Filigree Forge reserves the right to revoke or alter any aspect of this license as it deems necessary. Should you require any support on producing your product, Filigree Forge would be happy to assist and can be contacted moc.liamg|gnihsilbupegrofeergilif#ereh.